The U.S. Coast Guard medevaced an injured crewmember from the "Eagle" in the Elliot Bay, Washington, on Jan 30, 2014. Coast Guard Sector Puget Sound watchstanders in Seattle received a call just after 8 a.m. from the crew aboard the vessel, reporting a crewman suffering a ribcage injury near the middle of Elliot Bay, near downtown Seattle. 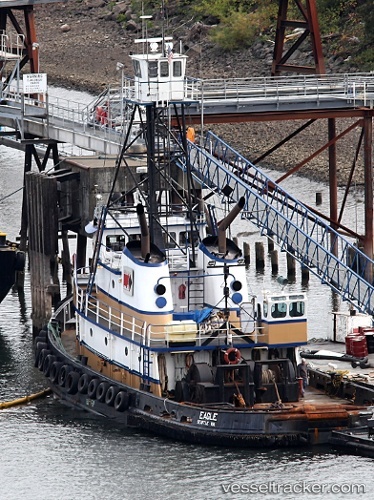 A 45-foot Response Boat-Medium crew from Station Seattle arrived on scene and came alongside the tug. RB-M crewmembers were able to climb aboard the tug with a rescue litter. The Coast Guard crew, with help from the Eagle crew, secured the injured man in the litter and transferred him to the RB-M. The Coast Guard crew then transported the man to awaiting local EMS at the Seattle Fire Station Five pier at 925 Alaskan Way, Seattle. The man reportedly suffered his injury while heaving a line. The extent of his injury was unknown.